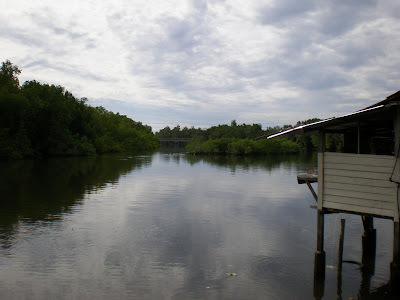 Near Sitiawan town ( 8km away ) there lies a small kampong ( village ) called Kg Sitiawan where the first Chinese pioneers ( of Manjung District ) landed a century ago. 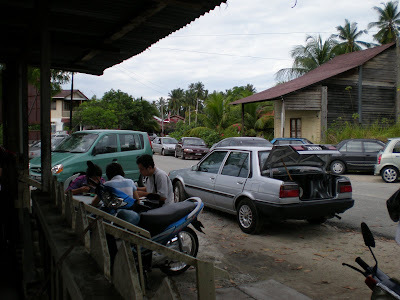 Today this same place with Chinese vegetable farmers , Malay fishing folks and some Indian families looks quite the same as it was ( we were told ) except there are many cars which converge aka clockwork precision at a certain spot in the mornings. you mean to enjoy this watery view ? the great shining pool ( the scene of many Scouts first class swimming tests from nearby schools ) or is there something else ? the eager cars parked along the roadsides. Something's up babe . ...to see this stilted shaky wooden hut ? sure it can hold or not ? But first , a small bite from the newspaper packed bundle for the appetiser. Nasi lemak kampung with one tiny 1/4 fish 70 sen .
the patient multiracial crowd. Young and old . Must be something big here .All races. Actually you could celebrate the coming 50th Merdeka Celebrations here. The champions. Throwing and doughing. Oh now we understand. this ! Wow looks good , very fresh ! ...the aroma ...the slurpy gravy . stunning color ! Got that bounce...that rare exuberance ! Amazing youthful texture ! Great taste ! 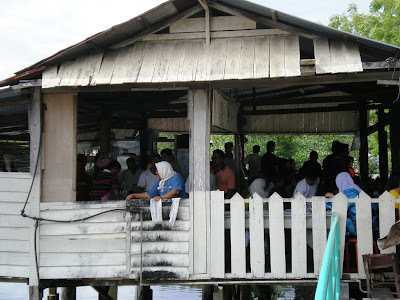 Now you know , kampung folks too can make a big difference ! What a cool and cost-saving joint! It looks like it has quite the atmosphere. 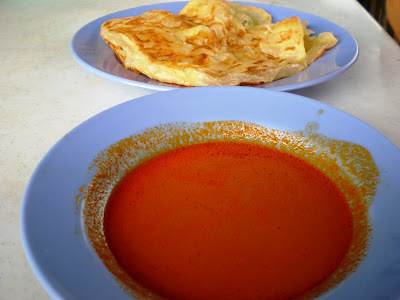 I just told my darling recently only that it is sooo hard to find good roti canai nowadays. And lo and behold, here u post the most 'excellent' roti canai. It really looks good la! Lucky you. 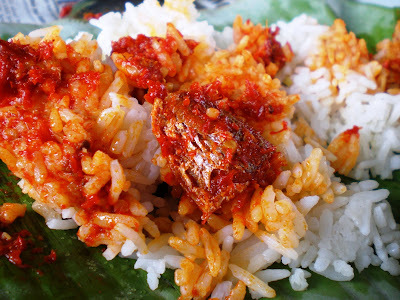 hey...i just wondering yr team do no thv to work..can travel so far for food...so nice! I thought the nasi lemak was the star (was searching for that 1/4 fish...), then I read on and found out about the roti canai. They charge USD$3 for roti canai here and color surely not as stunning. You guys always balik kampung issit? Bring me next time ler. Wah...the 70 sen nasi lemak looks fiery hot. I LIKE I LIKE! Can share with us the exact location? I'm balik kampung coming merdeka weekend. Thanks. Me, from Sitiawan as well. ohh.u r sitiawanian huh? lol. 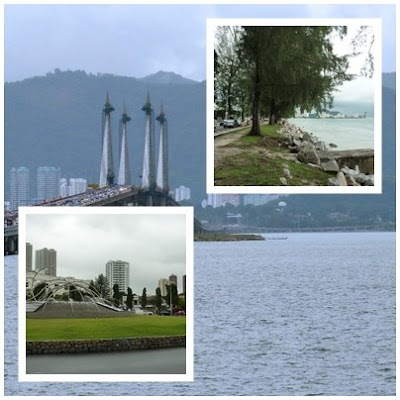 manjung?? 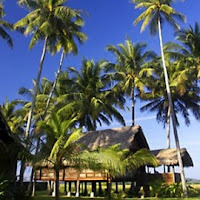 lol, cool, my days when we go there for a scouting camp and subsequently, the asia pacific jamboree some yeeeears back. miss teluk batek where we were introduced to the sea. 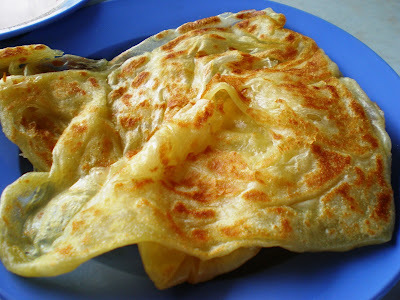 somehow i prefer malay roti canai over mamaks or indian....it's more filling , more isi, richer...lol. 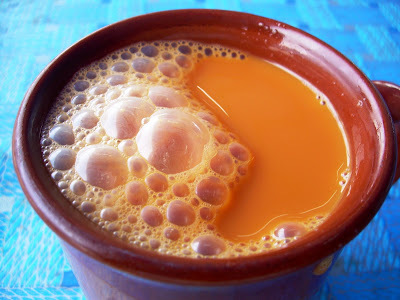 oh yeah, i also like sitiawan for chinpeng!!!! this place's gorgeous for small time fishing and lazing around ! we ahud trade places sometimes , you and your superloaded big restaurant food ( even FBB cannot tahan oredi ! )Happy birthday again, want 16 yr old one or 17 ah ? 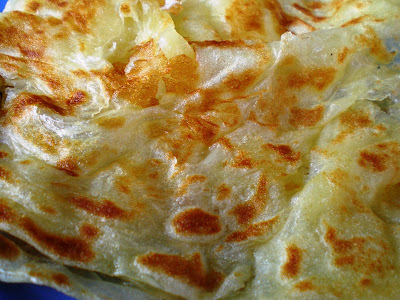 surely ahmor roti canai will look funny right ? look out for kampung roti nex time ah dun forgit ! nice to drop by fellow Swan kaki ! great to have here again ! best roti coming up ! 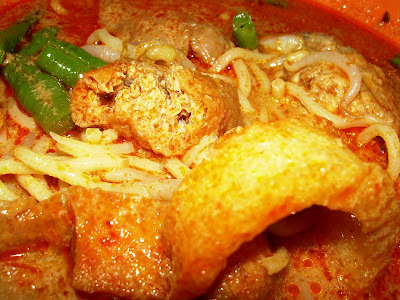 the kampungs are still great value and original ! Wah lau eh, you beat me to it again. My old house is somewhere, somewhere there la. There used to be a bridge where we can walk across to the other side. Not sure still there or not.